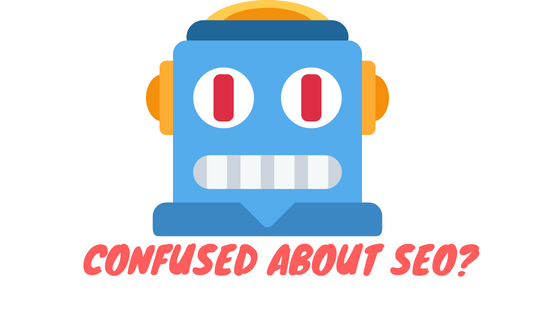 AS a technical field, not everyone finds it easy to come to terms with the function of SEO and why it can mean the difference between make or break in an online business. The fact is that the rules around SEO change almost every few weeks, making it a topic that, in order to be the best in, requires regular revision and updating. The three main pain points around SEO for businesses follow. Which do you identify with? There’s a great saying in the marketing business; The minute you think you’re comfortable with SEO, you’re not. SEO is an ever-adapting, fast-evolving beast. In order to preserve a quality experience for millions and millions of users, it has to be. You can’t complain about the goal posts constantly moving in the SEO game, because quite crudely, that IS the game. Your SEO analyst should be receiving quality, constant updates about new SEO practices. If they’re worth their salt, they will be particularly finicky about who they draw information from too. Signs of a dedicated SEO? An insatiable interest in change and adaptation is a good clue. You may have heard either end of the story when it comes to keywords and search terms. Words like, long tail and short tail keywords are simply terms used to describe a search in either short or long detail. For example, there’s a difference between searching for Shoes, as compared to searching for women’s heels, size 9, tan leather. It’s about search prioritizing. Content Production and Why you (yes, YOU) can’t recycle it. Content has to be fresh if we’re talking about SEO relevancy. Even if it’s quality info, well written, naturally flowing and perfectly adapted by a skilled copywriter, if your content is re-used, you’ve failed from an SEO perspective. Business owners must come round to the idea that one constant with SEO is that it LOVES inconsistency and uniquity. Go with it! Unsure whether SEO is right for your business? We can help you choose the right way to market your business in the modern online landscape. The answers are not always clear- so be sure to engage with the professionals who can assist you in making the perfect choice for your business, whatever you deal in! Need to Make an App Development Brief? Blitz it!